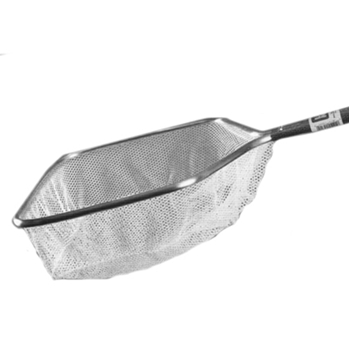 Utility Nets are designed to handle your toughest pond maintenance chores–from handling Koi to skimming leaves or algae. These nets feature our unique Monorail aluminum bows that encase the netting inside the hoop for long-lasting durability. The small, soft mesh, knotless netting is strong, yet gentle on Koi and other fish. Net Dimensions: 16" x 16" x 4"